Base Colors. 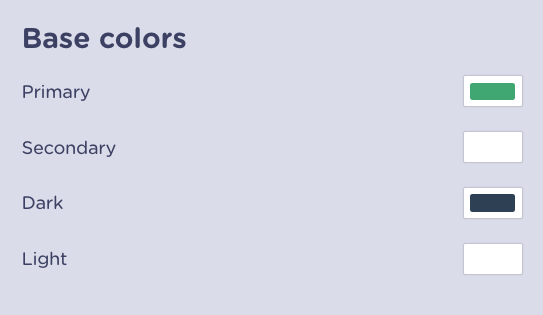 These are the four colours that have the most presence in your design. If you don't want to spend a lot of time in Design, these are the four variables you should play with. Gradient. A color that transforms into other color. Choose both - top and bottom - to create your own gradient. Color. The classic of the classics. Image. 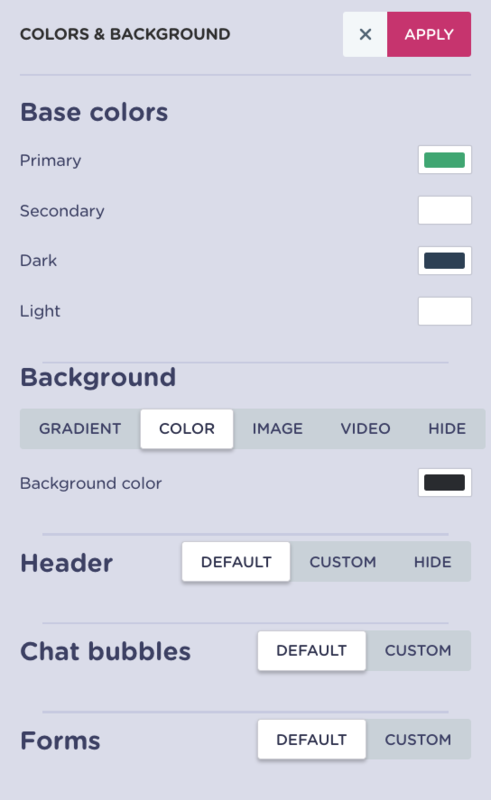 Upload your own image (JPG, PNG or GIF) as a background. Try to use at least Full HD resolution (1920X1080) to make sure it's correctly displayed on any device. Video. 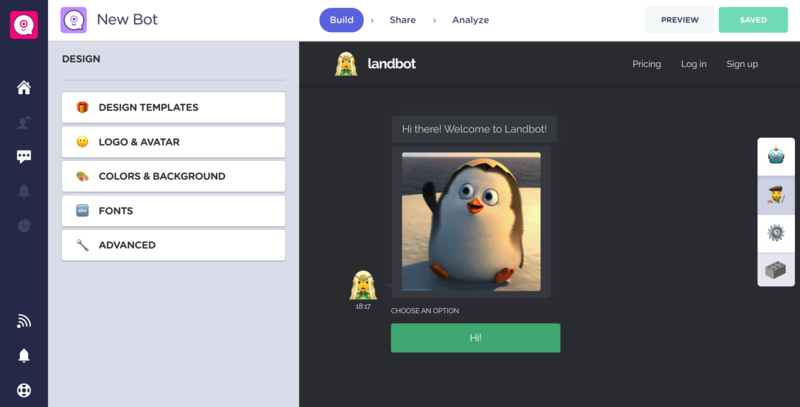 Pick between our gallery of videos and your landbot will look alive! You can't add your own videos yet, but we're working on it! Hide. 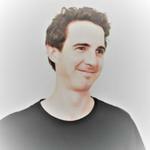 Avoid any background and use the one you are already using on your website. Header. Choose how you want your header! you can keep it as it is or customise it! Edit the color of the text contained too! Chat bubbles. 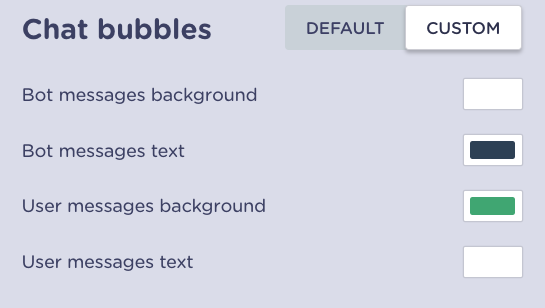 Modify every colour from the bubbles (visitor's, landbot's, box, text...). Forms. 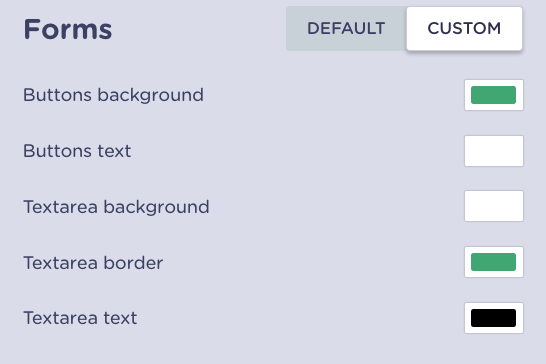 Customise your buttons: pick the background you like more and tune up your text area.